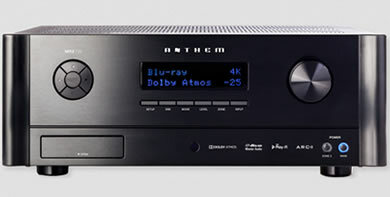 We are pleased to offer the multi-award winning Anthem MRX Range of AV Receivers. 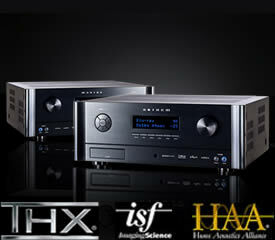 11.2 Pre-Amp / 11 Amplifier Channel A/V receiver with Dolby Atmos, DTS:X ready. 140 watts per channel continuous power into 8 ohms. Includes ARC (Anthem Room Correction). 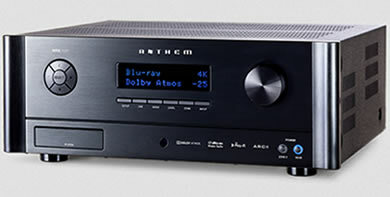 11.2 Pre-Amp / 7 Amplifier Channel A/V receiver with Dolby Atmos, DTS:X ready. 140 watts per channel continuous power into 8 ohms. Includes ARC (Anthem Room Correction). 5.2 Pre-Amp / 5 Amplifier Channel A/V receiver with ARC (Anthem Room Correction). 100 watts per channel continuous power into 8 ohms. ARC Kit is easy to use, and just a few simple steps can customize your loudspeakers for your unique listening space. Each ARC-ready component comes with a complete ARC Kit, consisting of software and microphone calibration file from the Anthem website, a professional quality mic stand and high quality connectors. You will need a Windows-based laptop computer with a CD drive. The proprietary ARC software measures the difference between the speaker's ideal lab-standard response, and their real-world performance in your room. Then, its sophisticated DSP accurately equalizes response and creates intricate crossover curves so that the performance of the speakers in your room meets the ideal lab standard.